From Vancouver Island Brewing in Victoria comes their “Barrel Aged Hermannator”. The beer pours a deep brown colour with a red tinged head. The aroma consists of dark fruits, red wine, oak, anise, toffee, caramel, bready malts and sweetness. The flavour is of red wine, dark fruits, cherry, caramel, chocolate, toffee, earth, citrus rind and bitterness. The alcohol content comes in at 8.5% with an IBU of 25. This was a very interesting beer but it had little left of what Hermannator was sadly. I hope in future versions of Barrel Aged Hermannator they let the original beer shine thought a little more. Commercial Description: Our original Brewmaster Hermann Hoerterer designed Hermannator as a seasonal gift to friends & family in 1987. It soon became our flagship brew, the most anticipated beer of the year. 2017 marks the 30th anniversary of Hermannator. To celebrate we’ve aged Hermannator in red wine barrels, leaving it with beautiful notes of red wine, sherry, and plum that will only get better with time. 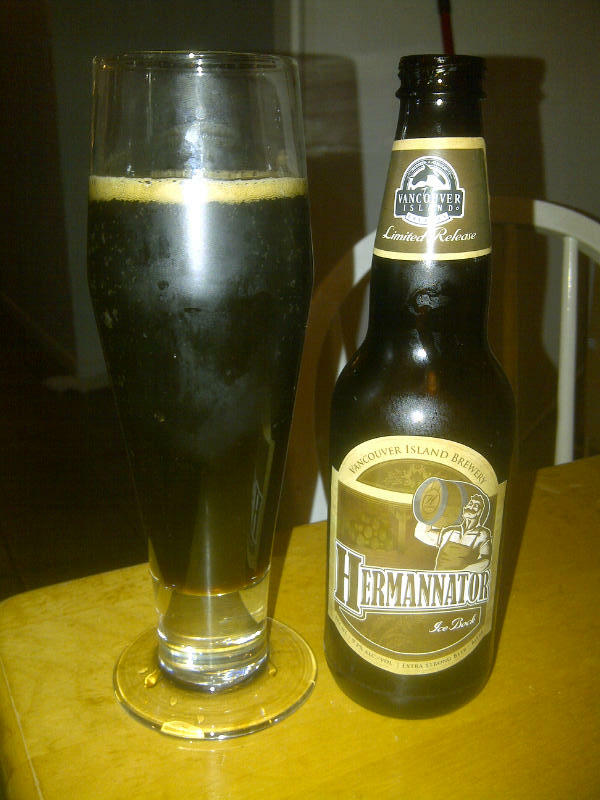 Hermannator Ice Bock is a well loved and established beer. By aging it in red wine barrels the plum and sherry notes are added upon to create a wholly different experience. Fruitier, brighter, and dangerously easy to drink. The additional 2 months of barrel aging leaves an aggressive red wine note that is sure to age beautifully for those that can resist drinking it all right away. From Aldergove’s Dead Frog Brewery comes their “Weeping Reaper Blood Orange Helles Bock” a flavoured lager. The beer pours a copper colour with an off white head. The aroma consists of orange, citrus rind, toffee and floral hops. The flavour is of earth, citrus rind, orange, toffee, mild bitterness and some grain. The alcohol content comes in at 7% with an IBU of 26. Once again this year the flavour of this beer has changed up a bit. I quite enjoyed this edition of the beer. Commercial Description: A HAUNTING GOLDEN LAGER WITH A SPLASH OF CITRUS, A SWEET CARESS OF FRUIT HOP FLAVOUR AND AROMA, AND A BRISK DRY FINISH. From Aldergove’s Dead Frog Brewery comes their “Weeping Reaper Blood Orange Helles Bock” a flavoured lager. The beer pours a cloudy orange colour with a white head. The aroma consists of bready and grainy malts, citrusy orange and floral hops. The flavour is of orange, citrus, citrus rind, grainy and bready malts, earth and hops bitterness. The alcohol content comes in at 7% with an IBU of 26. While a typical Helles Lager is not a style that I would usually drink this Blood Orange Helles Bock is quite tasty. 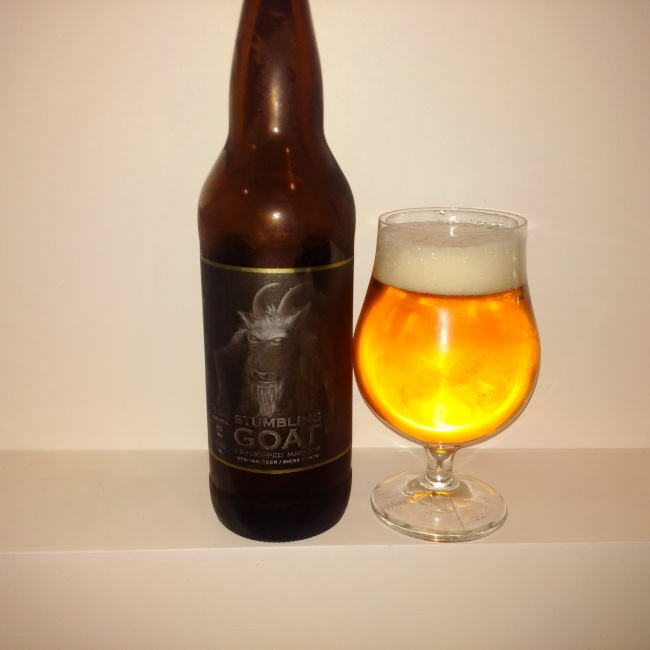 From Cannery Brewing Company out of Penticton BC comes their new “Stumbling Goat Dry-Hopped Maibock” part of their Artisan Creations line of beer. The beer pours a golden colour with a white head. The aroma consists of grainy malts, sweetness, fruit and some grassy floral notes. The flavour is of fruit, grainy malts, toffee, sweetness and a grassy hop bitterness finish. The alcohol content comes in at 6.5% with an IBU of 40. The evil looking goat may scare you away but it shouldn’t! This is a well balanced beer with lots of flavour without it being unapproachable like many beer geek beers. BC Beer Bloggers Local Winter Favourites – This special review is part of a multi-blog collaboration between five BC Beer Bloggers (including a guest from over the mountains in Alberta) where we each chose our top three local winter releases and are blogging about them. Please take a look at the bottom of this review for the other links to see all the beers we chose in no particular order and bookmark these sites so you can check them often. I do not usually run out to buy 6 packs of beer. I usually want to be trying as many different beer as possible but this is one beer that breaks the mold. “Hermannator Ice Bock” from Victoria’s Vancouver Island Brewery is just that good! This ice bock is cold aged in a cellar for over 3 months to help build the flavour. The beer pours a deep chestnut brown colour with a small brown head. The aroma consists of brown sugar up front with toasty malts, dark fruits, chocolate and an overall sweetness. The flavour is of brown sugar, molasses, dark fruits like raisins, milk chocolate, roasted malts, nuts, mild bitterness and a pretty prominent alcohol warming at the end. Much like many winter ales this is a great one to age for a year or three to lessen the alcohol warmth while building the malts. This beer is a huge 9.5% alcohol but you would not guess it when you drink it! This is one dangerously easy drinking beer and must be taken seriously! Commercial Description: Brewed in limited batches each year, Hermannator Ice Bock was first introduced by Hermann, one of our original Brewmasters, during the holiday as a unique gift to his closest friends and customers. Crafted at 9.5% abv, using a signature blend of chocolate and caramel malts, this German Eisbock is slowly cold aged in our cellar for over 3 months. Having a six pack if you don’t want to age a few bottles maybe you want to cook with it! This is an old photo of mine as I seem to have lost the photo that I took a few days ago. Participating Bloggers: be sure to check them daily, I’ll add in their links as they go up! West Coast Beer Geek – A beer geeks perspective on craft beer, beer events, beer pairings and more. Mike’s Craft Beer – Not for the weak of taste buds. Lots of great beer reviews, brewery reviews and events on this site. Dennis the Foodie – Weaving a personal story of food and beer in Vancouver, BC. Very thorough food reviews, great photos and beer pairings. Western Suds – An Alberta craft beer blog written by a craft beer enthusiast and ambassador for the growing Alberta craft beer scene. 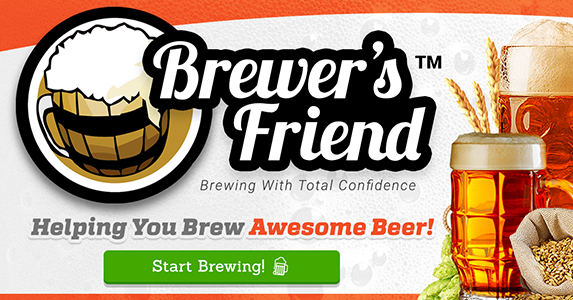 Beer Rater – A beer guide without all the fluff, just some straight forward drinking advice. How to stay tuned into what we are doing? Look for the hashtag #bcbeerbloggers as we will be using it a lot. Please engage us in conversations, enjoy our posts, try these beers and share our work if you like it.